How Do I Convert My Blog from WordPress.com to WordPress.org? Take control over your site: move it from WordPress.com to your own servers. Your data can be migrated to a WordPress.org blog with considerable ease. I’ve been maintaining a diary since my children were born in 2011, which I intend to one day publish for them to read. The contents are pretty verbose and combine their achievements with what is happening in the world, the state of the nation, and advice on making the right choices and living the right way. The bulk of the diary resides online on my WordPress.com account – but I’ve decided that I would rather have more control over it. Although WordPress.com offers blogging accounts (and much more – the main reason I signed up was for stats management for my self-hosted blogs, although other stats plugins are available 4 WordPress Stats Plugins Compared 4 WordPress Stats Plugins Compared With any web project, stats are essential; a blog is no different. You need accurate figures on traffic growth, and you need to know which articles are popular and why. Even the earliest web pages... Read More ) it can prove inflexible in some ways, especially when you’re already experienced with the WordPress.org way of doing things. Here’s why I did that, and how. 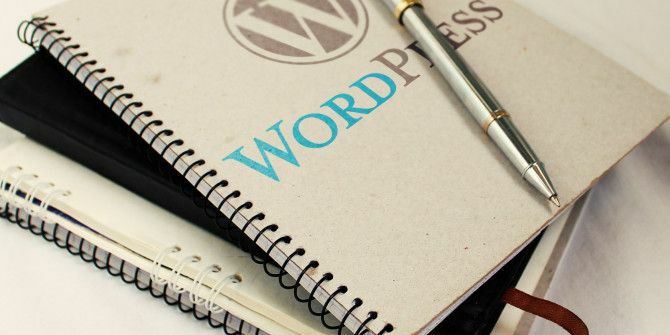 The main difference between WordPress.com blogs and WordPress.org blogs is that the former are hosted at the WordPress.com site. This means that unless you’re willing to pay for a domain name, you have to use the one provided (usually [YOURBLOGNAME].wordpress.com). Additionally, you’re limited in terms of theme and plugin options — which means that you don’t have the full flexibility that you might want from a blog. 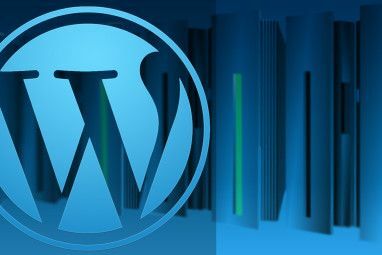 With WordPress.org’s free WordPress software — which you can install on almost any web server — you can add themes and plugins as you like, no longer constrained by the managed option of WordPress.com’s service. This also means that you can tweak themes, add your own graphics, and alter the stylesheet, and so on. Another advantage with a self-hosted WordPress.org blog is that you can update the WordPress software version when it suits you (useful if you are using plugins that are not supported in the new version). So how do you go about migrating your data from WordPress.com to WordPress.org? A blog post consists of various elements, such as the text, title, tags and categories. The blog itself, meanwhile, will also consist of pages and comments, and all of these can be packaged into a WordPress.com export file ready to be imported into your WordPress.org blog. You can do this by signing into your WordPress.com blog, opening the Tools menu and selecting Export. Two options are listed here – if you’re sick of reading this article, by all means go ahead and use the $129 service to have your posts migrated to a self-hosted blog, but if you’re happy here, and want to read on, click Export. A second screen will open, enabling you to choose between exporting All content and the individual options of Posts, Pages and Feedback. For Posts and Pages you can select Categories, (all or any) Authors, a Date range and even export posts of a particular status, such as those in Draft or Pending. The best option for a full migration is All content, where posts, pages, comments, custom fields, terms, navigation menus and custom posts are all saved into the migration file. With the export file created, you’ll be ready to import it into your new self-hosted WordPress.org blog. 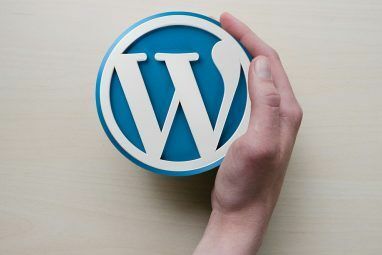 Our comprehensive guide will give you all the details you need for setting up a WordPress.org blog. On your self-hosted WordPress blog, sign into the admin screen. If this is your first time here, you’ll notice that the layout of the menus is almost identical to those on your WordPress.com site. As such you should easily find Tools > Import. You should see a list of formats that can be imported, with WordPress listed at the bottom. Select this option and use the Choose file option to browse for your downloaded export file. Importing the date requires that you configure the process to suit your needs, so begin by clicking Upload file and import. Next, you will need to add a new author name for your imported posts to be attributed to, unless you’re happy with the one from your old blog. For this, you can use an existing user or create a brand new one. When you’re ready, click Submit. Depending on the size of the import file, transfer might be complete in seconds or minutes. 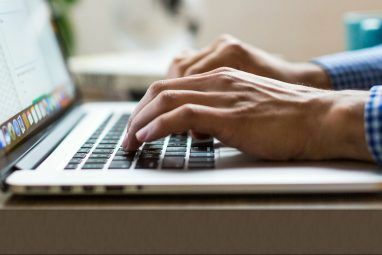 The speed of your web host will also affect this, as will the speed and strength of your Internet connection. After completion, head to the Posts and Pages screens to confirm categories and tags have been successfully imported. You will then be ready to view the posts on your blog! Over the past few years WordPress has made everything about blogging so much easier and configurable. Millions of websites are hosted on the platform, thousands of themes and plugins exist to adjust a blog so that it looks and works exactly how you want it. Our list of the best WordPress plugins should help you out here The Most Awesome WordPress Theme You Probably Don't Know About: P2 The Most Awesome WordPress Theme You Probably Don't Know About: P2 Even the most seasoned WordPress enthusiast can't have seen all of the free themes going around, so there's every likelihood the P2 theme passed you by too. But, the P2 WordPress theme is not like... Read More . The import/export tool is yet another example of this, and the ease with which you can migrate your blog data is remarkable. Have you used this method to migrate blog data from WordPress.com to WordPress.org? Have you even found an alternative? Let us know of your experience in the comments section! Explore more about: Blogging, Content Management System, Wordpress. Thanks For Your Awesome Guide to transfer all the post and content from WordPress.com to WordPress.org. Interesting. Mind if I ask a question? I wonder when migrating this way, what happens to internal links? You know, the URLs of the blog's internal images and media files, the cross ref links between different pages and posts within the blog, things like that. Afaik, these are all hardcoded URLS pointing to the blog's old wordpress.com adress. So they would all need to be changed in order to point to the blog's new URL. Meaning that a lot, if not all, old posts need would need to be re-edited to change all internal links. I think a 301 Redirect Can Help! !